Amazon sells some weird stuff. Amazon (AMZN - Get Report) sells some bizarre stuff. What constitutes "weird" when you're Amazon, an online store selling to the world? One person's "weird" may be another's fairly routine item, which makes labeling just about anything on that site as "weird and wonderful" seem like an exercise in futility. Fortunately, we aren't the ones tasked with that particular assignment. 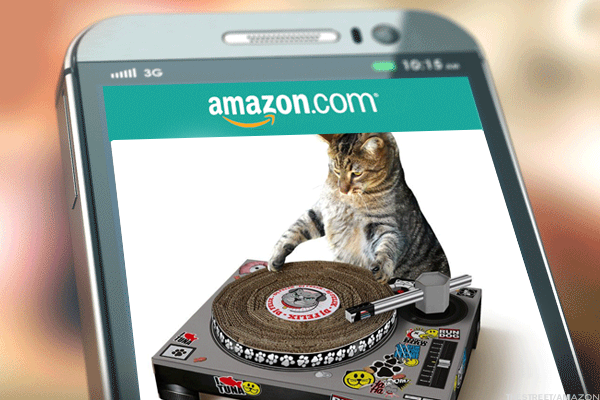 As it turns out, Amazon has a "Weird and Wonderful Newsletter" that it sends out on a fairly regular basis alerting folks to some of the more... well... esoteric items that are selling in the company's marketplace. It isn't that "weird" is bad, mind you. We're writing this from a city -- Portland, Ore. -- that regularly demands that newcomers "Keep Portland Weird." Granted, the folks in Austin, Texas, have been making that same request in their city for years, and neither has exactly made either city a Starbucks-free haven of artistic expression, contrary thought or peculiar occurrences. Like we said, a Naked Bike Ride or alleyway full of amateur murals that would push one city out of joint for being "weird" might just be part of another city's marketing plan. If Amazon can float its own inventory out there as "weird," what qualifies as normal? Does having AmazonNow deliver you toothpaste, because you're too lazy to go to the damned bodega qualify as normal, or is that a little weird for people with working legs and no phobias? "Hey, those EDM kids will buy anything, right?!" One of the byproducts of the festival circuit from Woodstock to Hakkasan has been a gray market of folks looking to sell festivalgoers absolute garbage. Sometimes it works out, and you get tie-dye shirts or glow sticks as a symbol of an entire movement. Sometimes, you get cheap baubly crap that doesn't look quite as lit in Ibiza or Vegas as it did when you were trying it on in the bathroom. 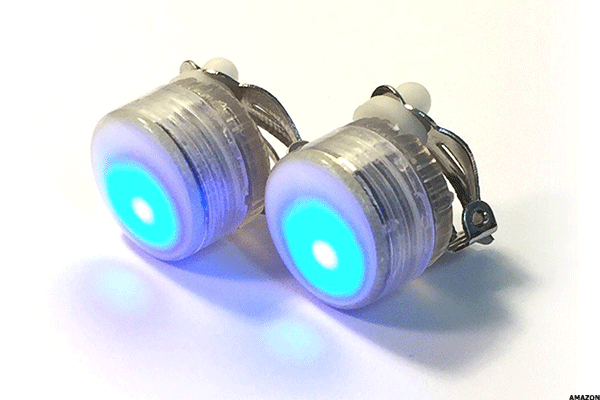 These "fashion rave party earrings" look like illuminated Frankenstein bolts, and could only look better in the context of a "Disco Prism Ball" LED necklace ($2.01) or a few Fiber Optic Hair Braid Barrettes (15 for $11.99) at the tips of some not-well-thought-out vacation cornrows. There are few piles of crap as big as those pushed at novice golfers. 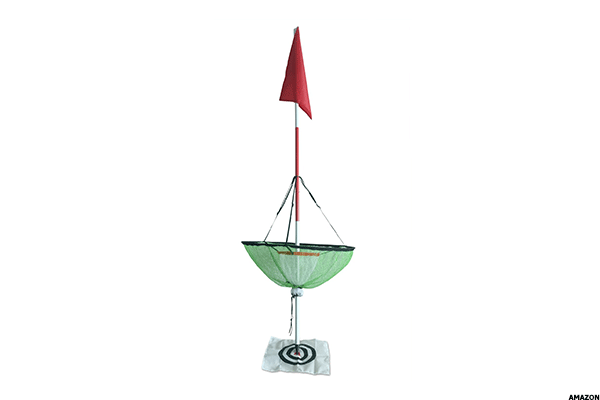 So, Rickie Fowler Jr., you think hacking divots out of your lawn and chipping at what looks like a disc golf goal with a flag attached to it is going to tighten up that short game of yours? Do yourself and your landscaping a favor and play a few rounds of Golden Tee at the nearest pub instead. It'll be just as helpful while wasting far less of your time. When you go to the Netherlands or to Belgium, souvenir stands will sell you wooden tulips because they're a whole lot easier to get through customs (and last a lot longer) than the real deal. We get it. 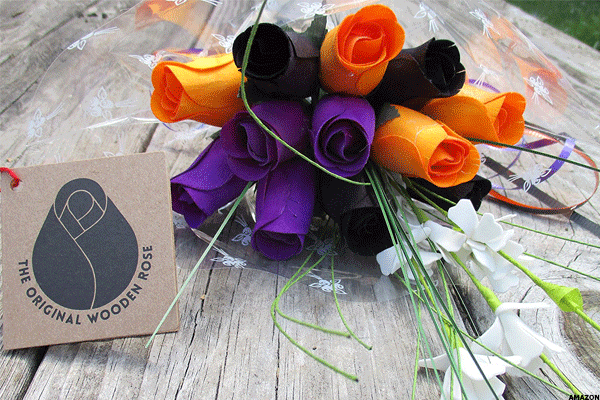 But getting fake wooden roses in a country where real ones are ample, getting them in "Halloween Colors" and then not even going full goth on it by making them just all-black, Corpse Bride-style bouquets just makes no sense. People moan about the pumpkin spice-ification of fall, just slapping black, orange and purple on anything and calling it "Halloween ______" is even more lazy -- and far less tasty or pleasant to smell. We don't begrudge anyone a belief system, but we're just going to go ahead and point out that Ayurveda and Hinduism -- which GuruNanada clearly takes its cues from -- is completely separate from the Zen school of Buddhism. 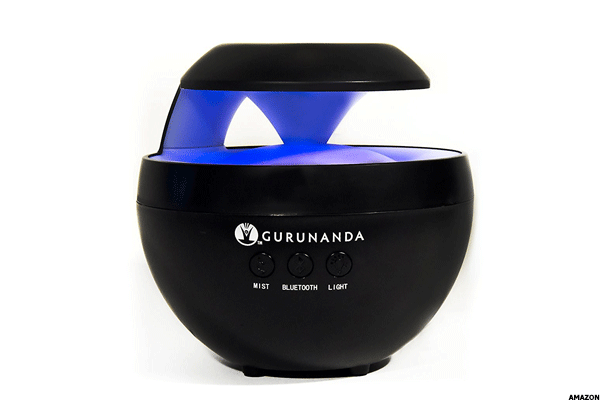 But, then again, this is a product that's somehow simplifying and distressing you're life by taking a simple oil diffuser -- seriously, a tea candle under a glass plate gets the job done -- attaching a Bluetooth speaker to it and flashing an LED light at you. Oddly, practitioners somehow managed to find peace before without attaching a high-intensity light and a Spotify list to it. We'll freely admit that, after 40 years or so, the dorm-room blacklight probably needed an update. 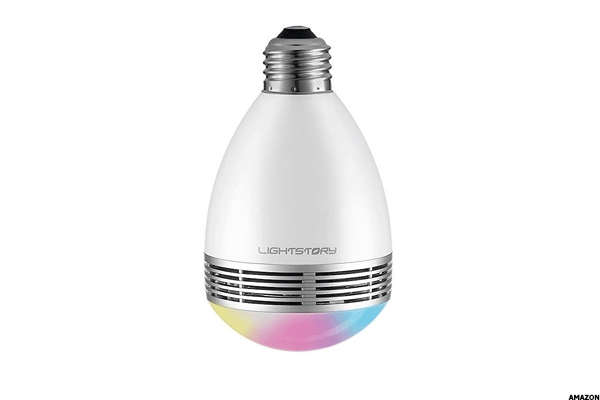 However, a four-color bulb producing up to 12 shades while being controlled through an app that also streams music to its connected speaker? Even if you want your room to be the Electric Daisy Carnival whenever you walk in, it still requires a lot of prep work to make that happen. At best, you've managed to give yourself a really costly alarm clock feet above your bed. Those who are against male circumcision consider any form of it mutilation. However, those who consider it both a long-held religious custom and a benefit to personal hygiene definitely have a threshold for just how much circumcision they want performed. Much as there are dummies you'd perform cardiopulmonary resuscitation on, this is the item you'd want a a would-be doctor or mohel practicing on before performing the actual procedure. Judging by its other products, Wallmonkeys is just trying to be a more generic version of its competitor, Fathead. 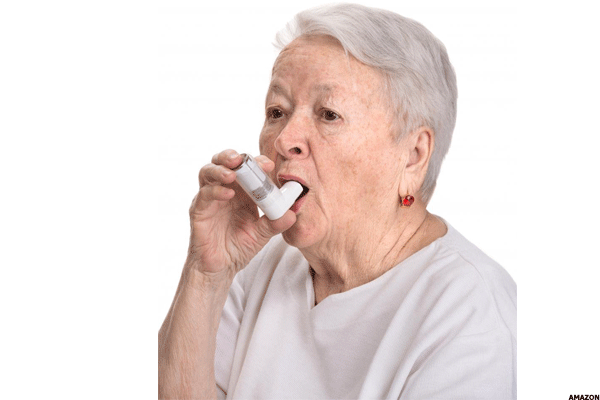 However, without the sports and entertainment licensing deals that come along with it, you get big stickers of exotic animals, random cartoon characters and... this poor woman who's just trying to breathe. While Wallmonkeys may have intended this for a doctor's office, pharmacy or medical supply store, judging by the reviews -- and there are some great ones -- we're not quite sure they correctly judged the market for this, "Senior Woman With Surprised Face" or "Asia Old Man." Even just want to slam six ounces of champagne but look like as big of a frat bro as possible while doing it? Say no more. 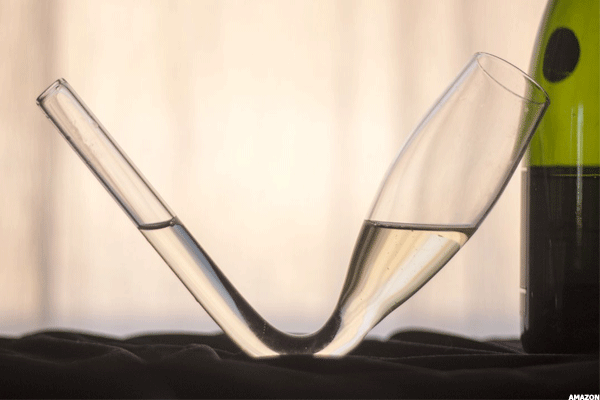 This champagne funnel seems ready-made for the infield at the Kentucky Derby, The Hunt in New Jersey or an America's Cup weekend. When you have Champagne tastes and a "Champagne of Beers" personality, this is the accessory you need. 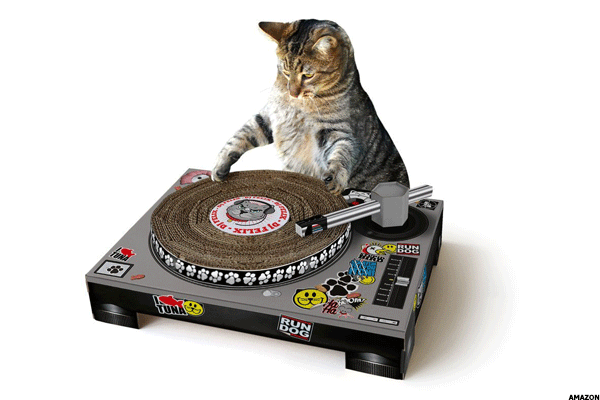 No, your cat probably doesn't need a turntable made out of scratchable corrugated cardboard, but considering all of the other things that cat could be scratching -- curtains, furniture... you -- you may as well let it rock a party. If you aren't familiar with the Japanese concept of kawaii -- basically all cuteness, all the time -- then let Cheero initiate you. 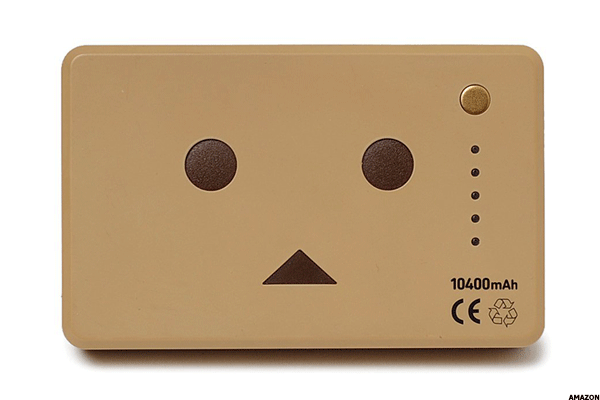 Quite frankly, everyone should be as happy to recharge a mobile device as this little portable battery pack with a face is. Granted, this is shipping straight from Japan, and all of the instructions are in Japanese, but if you also don't know the basic functions of a battery charger, let Cheero's happy countenance also serve as one of puzzled bemusement. Yes, Cheero, the United States is a strange, mirthless, kawaii-deprived place: save us from ourselves. We aren't going to say character culture is weird, because it's anything but. Sanrio has made Hello Kitty and her friends international icons. More than a few of you have played Pokemon Go years (maybe decades?) after you were first introduced to those pocket monsters. Well, Korea has a character culture all its own, and Kakao is a big part of it. The only thing "weird" about this product is that, well, it's a facial treatment. In this case, genetically modified fruit APEACH lends its image to a mix of Hyaluronic acid and Collagen designed to hydrate your skin. 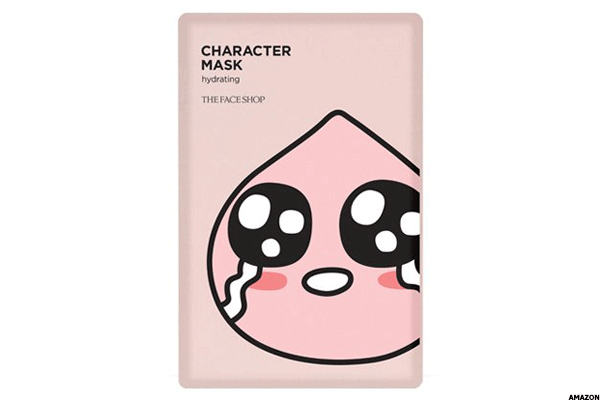 Other characters can tend to your moisturizing, soothing and wrinkle care (poor, poor Neo), but all have the same effect as skin-care products as they do as animated friends: making fans and followers feel young. First, how are you seeing your way around the bathroom before that light comes on? Second, is that initial nightlight really not enough to prevent catastrophe once you reach the bowl? 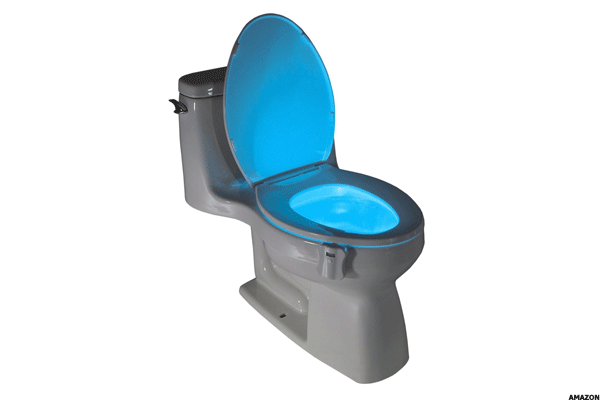 Third, just how big a mess are you people making that someone had to come up with a bowl-mounted nightlight. Finally, whose job is it to change the battery on that thing once it's been thoroughly bathed in backsplash? Not it. Apparently, the lesson we all took from the smart home movement was "put tacky lighting everywhere." 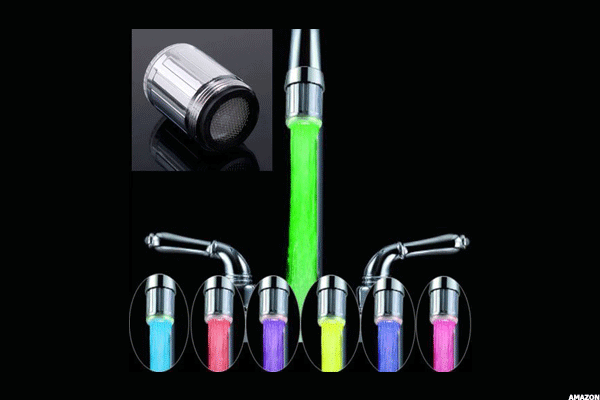 The sole purpose of this item is the illuminate the water coming out of your faucet so it looks like the rest room at a bad South Padre nightclub "concept" or like the drug kingpin's en suite in Spring Breakers. And don't worry: there's a rainfall shower version of this as well, which should provide some lovely ambience as your money goes down the drain. We're not sure which is worse: the stereotype that men are disgusting creatures who can't figure out how to bathe themselves or the surprisingly large percentage of the male population that proves that true. This is exactly what it sounds like: a pack of giants wet napkins for men who somehow don't have time to shower. 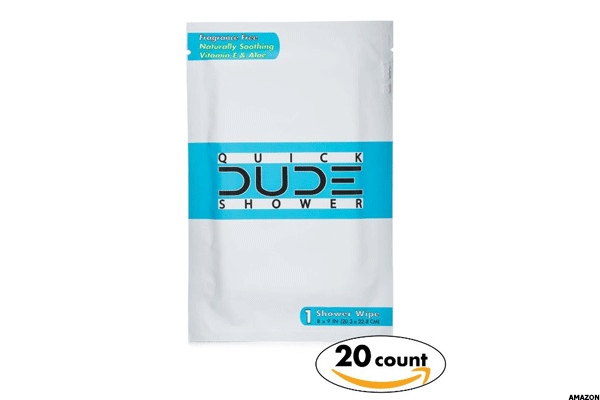 "Perfect for Awesome, Stanky and Highly Questionable DUDE Situations," says only the folks selling them, these guy wipes are suggested for travel (eew), camping (O.K., we can see this) and the gym (EEW!). More likely, they're going to be used by teen who really don't like the concept of locker room showers and folks in the tech industry who feel that long hours entitle them to lots of "energy drinks," bad snack food/protein slurry and all of the secretions that come along with those habits. This product is the white flag for a lot of guys: The indication that they are nasty and, at this point, beyond help. While moving or cleaning out a closet in a decade or so, they'll come across these and shudder. 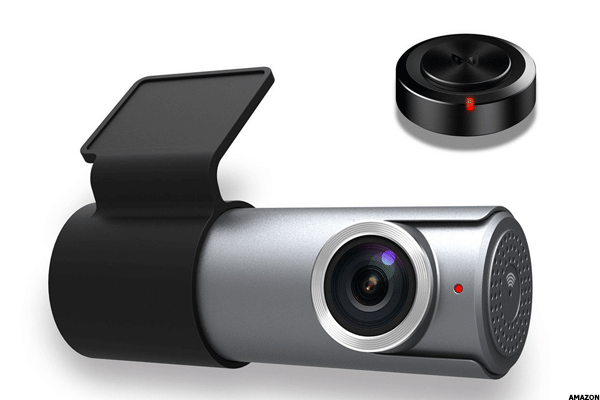 Why a high-definition, night-vision, crash-detecting Wi-Fi dash cam? Yeah, it sounds like a lot, but we live in a highly litigious society where evidence like that recorded by this camera comes in awfully handy. Also, given the ongoing debate about law enforcement in this country, it doesn't hurt to have cameras on both sides keeping everyone honest. The technology isn't weird, nor is the justification for it: if anything, it's weird that we as a society have reached the point where this is a viable and completely reasonable option. 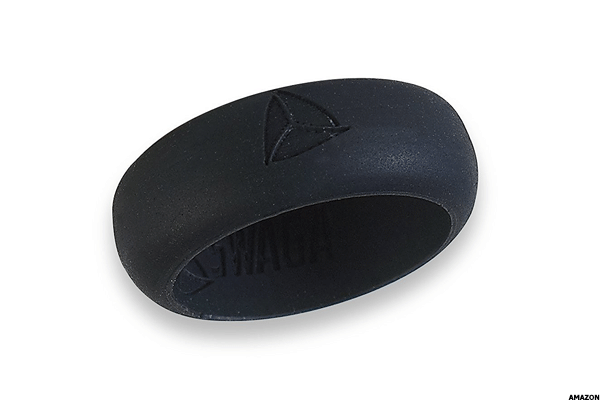 This isn't a cheap wedding band, but protection for/from your wedding band that wasn't cheap. If you think about it, it's a little more weird to wear a ring of precious metal worth hundreds to thousands of dollars while you're working on cars, doing crossfit, swapping gloves daily in a lab setting or in several other situations where your ring was never designed to be. And if you're one of the geniuses who got a tungsten ring to show how unbreakable your bond is, Jimmy Fallon just gave you a lesson in how ring avulsion can tear of whole parts of skin and tissue (if not your whole finger) when your ring gets caught on something. No, a silicone band isn't your actual wedding band (unless you have a metal allergy), but it may be superior in far more day-to-day situations than you'd think. This Kickstarter-birthed project basically makes 3D mechanical models that give builders a glimpse of the inner workings as the gears do their job. This little steampunk trolley doesn't travel far, but it's a great little project that's fun addition to a desk or mantle. 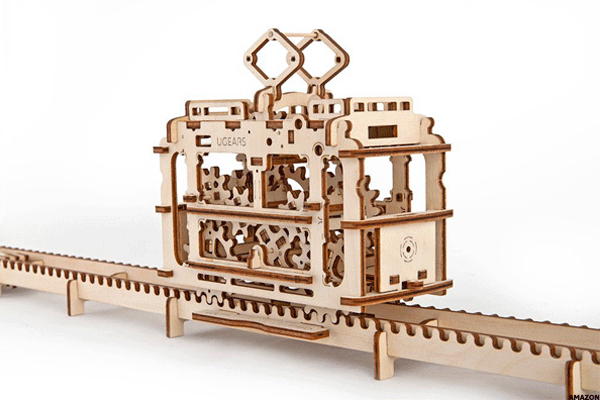 If you're a fan of clockwork, this one-pound model is a fine way to see it in motion. Yep, this is what an emoji is reduced to in the meatspace: a piece of flair. Maybe that's all it is online as well, but at least it's a substitute for some word or emotion there. 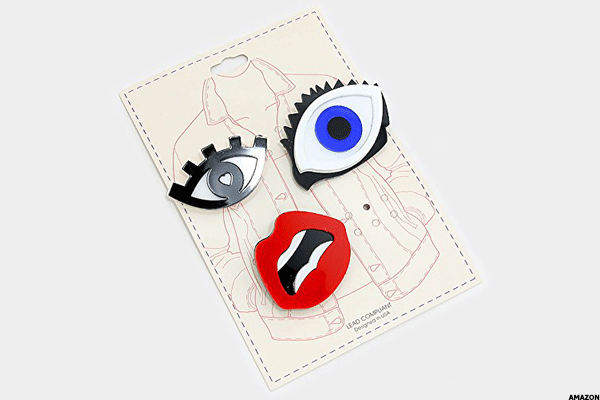 Pinned to a jacket or bag, it may as well say "Don't Worry Be Happy" or "I Live For The Weekend." It's as if emojis came into the physical world to die, which seems to be exactly what happens when you pull them out of their digital environment, stick a pin and some backing to them and use them to replace that anarchy symbol your old punk uncle gave you. Just in time for the playoffs, a bit of licensed baseball memorabilia that has absolutely nothing to do with baseball. Sports superfans are yet another one of those big targets that tchotchke shops like SkyMall used to aim for, mostly because they prove time and again that they'll buy anything. 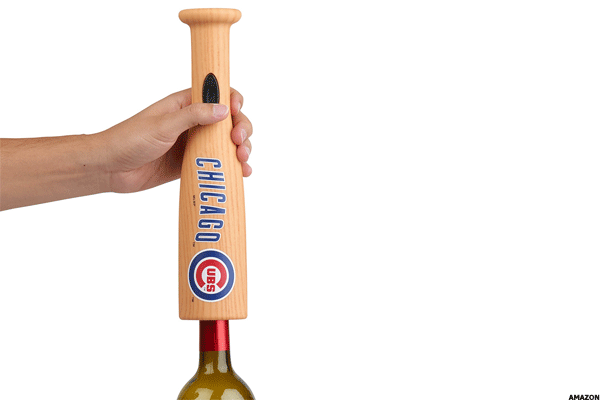 We just find this one terribly amusing, since opening wine with a baseball bat should have a far messier result. We also enjoy the fact that, despite throwing rulebook tantrums over it for years, MLB is now actively encouraging people to put corks (albeit wine corks) into bats. We eagerly await MLB-licensed jar openers, which we assume will be batting gloves soaked in pine tar. 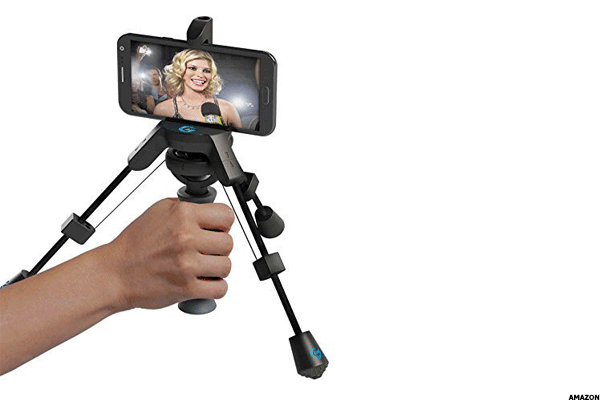 It only looks as if Sputnik mated with a selfie stick. Carrying around what looks like an antenna mast for your smartphone may seem a bit overboard, but attaching a smartphone to an autogyro is a great idea if you don't want video that looks as if it was shot during a magnitude 8 earthquake. It not only steadies your camera -- once you get it calibrated, which reviews say can be tricky -- but allows you to pan across a landscape smoothly. It's billed as professional gear for amateurs, but don't let that price fool you: It seems as if it requires a deft, experience hand to utilize effectively. Don't expect Best Cinematography results with a gaffer's budget and expertise. We've reached a technological precipice where we no longer have to tie shoelaces and no longer have to hear the dreaded rip of velcro to avoid that task. Fake laces have been around for years and have long been the friend of kids who can't understand why a bunny would go all the way around a tree just to go down a hole and up again. 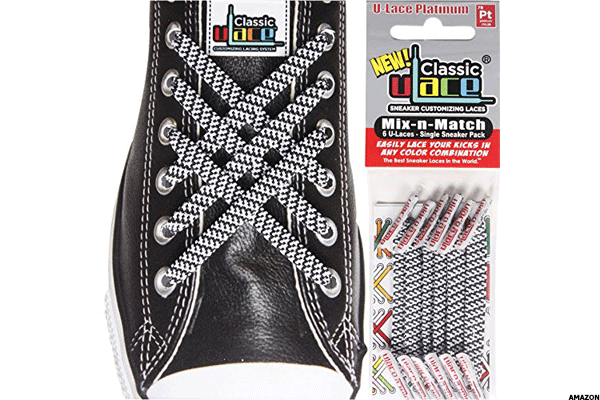 However, as generations of adults aged, they figured out that walking around with decent-looking woven fake laces beats taking a knee in public every so often to lace up. Also, slip-ons are the great guilty pleasure of the adult footwear world: Nobody wants to be caught dead in moccasins, but everybody wishes every pair of shoes he owned came in slip-on form. Now they do. No, this isn't some attempt to make rugged flip flops. 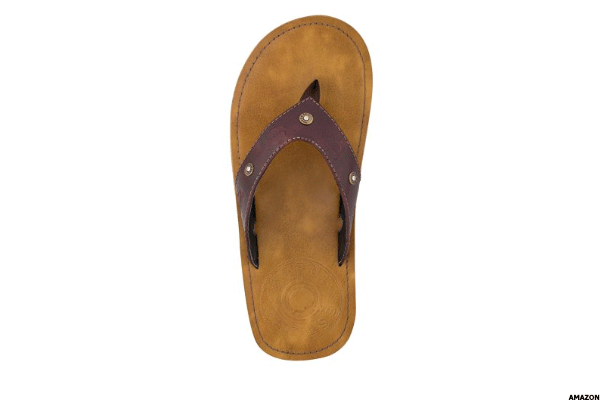 This is actually a company run by U.S. combat veterans that makes these flip-flops with spent bullet casings in factories in Bogota, Colombia, uses those factories to push back against drug-financed insurgents and uses proceeds from the sale of those flip-flops to provide schooling for girls in Afghanistan. It's an unorthodox NGO-style business model, but the only thing weird about it is that there aren't many more like it out there. 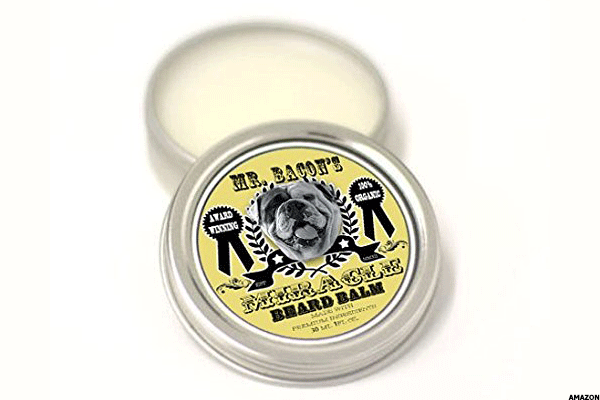 We understand the need for beard balm and various beard oils. Living in the beard-heavy Pacific Northwest, you don't really want to be around a beard that isn't being treated with any of the above. They call it a crumb catcher, but it catches things far more gross than that. Our issue is this: what do you think a glacier smells like? You might guess pine, spruce, fresh snow, newly released oxygen -- and some of that would be right. But if your nasal passages aren't numbed by the cold, there a chance that it smells like wet marmot, bighorn droppings, elk urine and a whole lot of sediment. A glacier looks pristine from a valley away or even from the base of a mountain, but we still wouldn't recommend drinking from a melting one without a decent filter. Yes, it's a 1080p high-definition projector, but that's oversimplifying it. 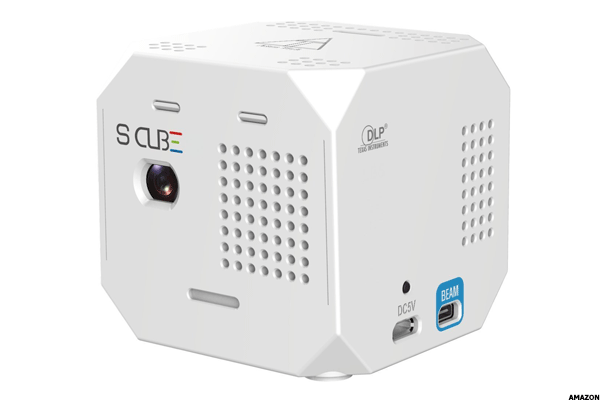 It's a two-inch, nine-ounce cube that projects 10-foot images in HD. It has full Apple and Android support (via adapters), it's capable of projection mapping small to medium-sized objects, it can project holograms and it has about 2.5 hours of pure battery life. It's basically everything you could want in a projector, but in a package smaller than a tissue box. It's a stick that holds a hose. This escapee from the as-seen-on-TV world pitches itself to people who regularly clean their dog with a garden hose and wash their boat with that same hose. We don't know if there's an Amazon Florida vertical in the works, but this should be the first offering.